Central Catholic High School was founded by the Marist Brothers in the heart of Lawrence, Massachusetts in 1935. Lawrence has been our home for over 80 years. Central Catholic is accessible from Route 93, Route 495, and Route 213. A former industrial mill city and the destination for generations of immigrants, Lawrence has struggled to redefine itself in the face of a changing economic landscape. The city has faced more than its fair share of challenges throughout the late 20th and early 21st centuries. Many businesses and institutions chose to leave the city for surrounding areas. Central Catholic nearly joined them, seriously considering the possibility of relocating to Andover in the mid-1990’s before abandoning those plans and recommitting to Lawrence. Since then, Central Catholic has invested millions of dollars in its facilities and programs, serving as a key institutional anchor within the community and drawing hundreds of students, parents, and visitors into the heart of Lawrence on a daily basis, people who would not come here otherwise. They can see firsthand the significant potential and many positive things happening in the city. Hundreds of Central Catholic students are residents of Lawrence, and the school has established important partnerships with many local organizations that are making a difference in the city and the world. Central Catholic provides a safe, secure environment for students to learn and grow in the heart of the city. Students perform community service throughout Lawrence, and many alumni return to the city after college to serve in leadership positions for a variety of organizations. Lawrence has a rich history and cultural heritage that provides a variety of opportunities for students, providing them with experiences they would not have elsewhere, experiences that help them grow into mature adults capable of succeeding in a diverse, multicultural society. 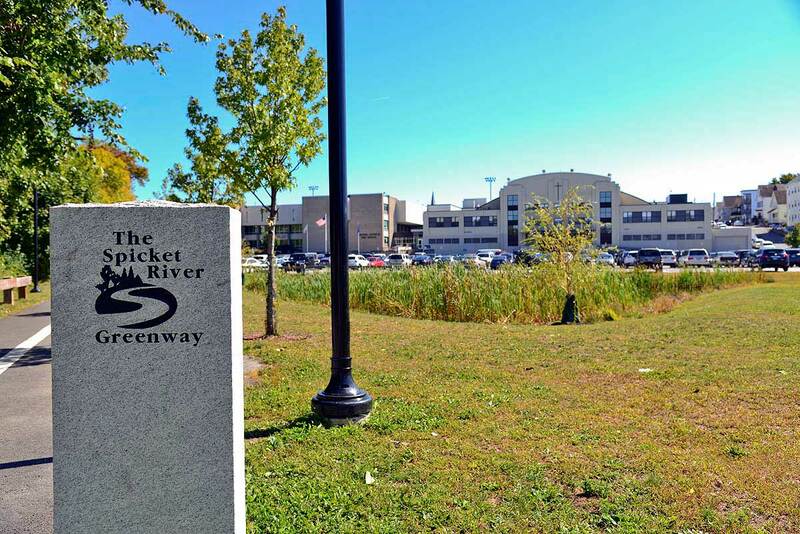 The 3.5-mile Spicket River Greenway runs along the Spicket River by Central Catholic High School and links a network of existing and new open spaces, parks, and neighborhoods along the river, including the William Kennedy Playstead adjacent to Central Catholic. This project, completed in June 2015, was a collaboration of the City of Lawrence, Groundwork Lawrence, and numerous businesses and organizations, including Central Catholic.